Thai people have got it right when it comes to eating. Meals are considered a communal affair - rather than everyone ordering and eating their own dish, everything goes in the middle of the table for general consumption. Everyone gets to taste and talk about each dish so there are no agonising menu decisions, nobody is left hungry if the food doesn’t come out all at once, and there’s no complication when the bill arrives. The more I think about it, the more this makes sense for a supper club setting. What better way than this family-style dining to get people talking and sharing? All it needs is a little planning to ensure a careful balance of flavours and textures across the table. This dish is crying out to be part of such a smorgasbord. The lack of spice and the simplicity make it a perfect contrast for more firey, complex Asian dishes. Asian cooking often demands that I spend a lot of time chopping, pounding, and grinding my ingredients - and quite a lot of ingredients at that. But every now and then a dish comes along which is so simple, capturing a delicious taste of Asia with barely a flick of the wok. This is one such dish. Peel and de-vein the prawns, leaving the tail on. Mix together the soy sauce, tamarind paste, water and sugar. Tamarind pastes may differ in concentration so make sure you taste it and adjust the flavours if necessary. It should be a nice balance of sweet, salt and sour. Add the prawns and toss continuously for about 30 seconds. Add the salt. Pour over the liquid mixture and keep stirring the prawns to make sure they are evenly cooked and coated in the sauce. Cook for about 4 minutes until the prawns are pink and cooked all the way through and there is only a little liquid left in the pan. 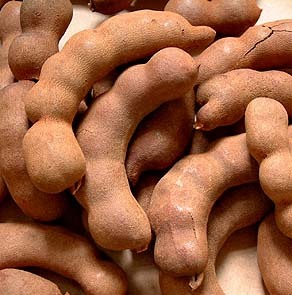 Tamarind is one of my favorite things in the world! Do you have a preferred brand of tamarind paste here? I have only tried one brand but you're right, there seem to be hundreds! Should probably do a taste test. Do you? This sounds really delicious! I love prawns and got to try your recipe! 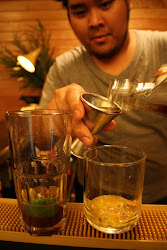 Great post, I enjoyed reading and learning about Thai cuisine and culture! Thank you for sharing! Sounds so good! Thanks for the pic of raw tamarind - I've never seen it before. I like quick and easy seafood recipes! I always find challenging to use tamarind paste when I cook. Tamarind gives the food a special sour taste and this works well with your prawns!